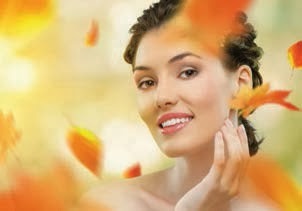 It is that time of year again, when the crisp autumn chill beckons us into her comforting yet moisture-robbing arms. As we start to brush the sand off our clothes and leave the sunny days of summer behind us, one thing remains to remind us of the extreme environmental factors that ultimately wreak havoc on our skin. Especially now, it is of utmost importance that we pay extra special attention to our daily routine in order to better recover from these previous aggressors, and allow our skin to emerge restored, revived, nourished, and fully prepped for the harsher climates to come. Key measures must be utilized to correct damage, increase proper moisture and hydration levels, gently encourage cellular turnover, feed the skin with anti-oxidants needed to repair and defend against further assault, and effectively restore our vital and protective barrier. Our arsenal of skin friendly, nutritive, and highly effective ingredients are tailored specifically to target the extra demands needed to face the elemental extremes of changing seasons. As always, just as we feed the skin from the outside, we must do the same from the inside. Focus on an increase of water consumption, omega rich fatty acids, seasonal fruits, and brightly colored vegetables rich in immune boosting antioxidants. Professional accounts: Log in to our Resource Center to read the new Osmosis Restore & Revive Fall Facial protocol.